The Mid-Atlantic Gateway remembers . 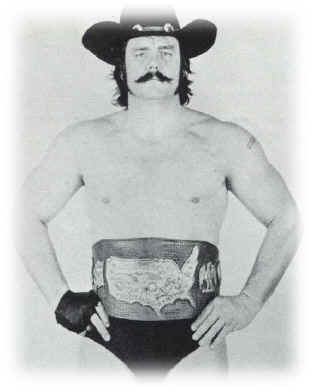 . .
Blackjack Mulligan established himself as one of Jim Crockett's biggest stars when he captured the United States Heavyweight Championship from Paul Jones in the historic Greensboro Coliseum in Greensboro, North Carolina. It was the first of five title reigns for the big man from Eagle Pass, Texas. 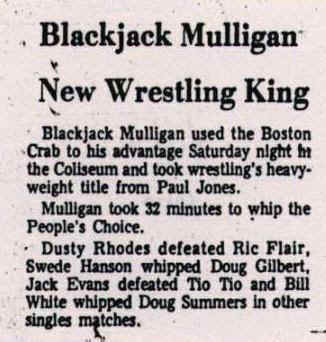 Blackjack is one of our all-time favorites and in many ways, the greatest US Champ ever. Special thanks to Mark Eastridge for bringing us the two Greensboro clippings that appear on this page. 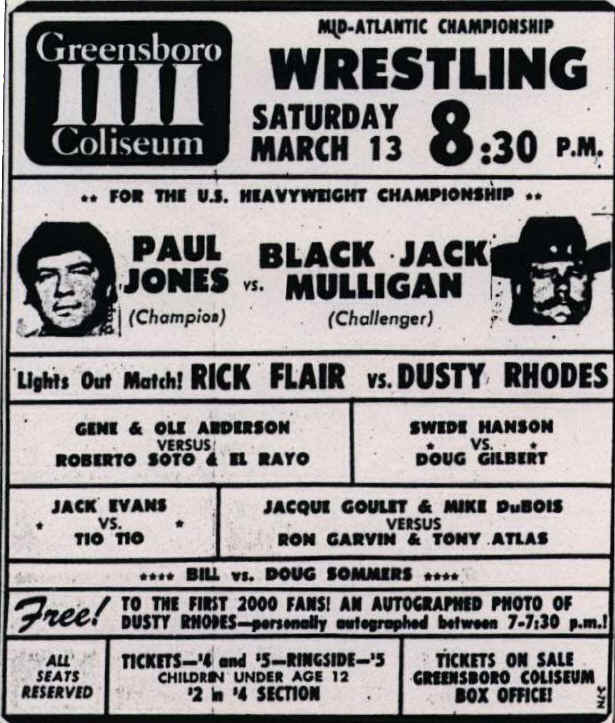 MARCH 13, 1976 GREENSBORO, N.C.